In a move to tighten state control over cryptocurrencies, Russia’s parliament Duma has developed new legislation to regulate the use of cryptocurrencies by local entities. Disappointed with its shape, local industry representatives hope that the legislation will be further modified. Otherwise, it could effectively hamper individual investors from placing larger amounts of their money in ICOs (initial coin offerings). As reported, in late May, the Duma approved cryptocurrency and ICO related bills during their first reading and they will be now deliberated as part of their second reading. Ignat Bobrovich, the CEO and co-founder of the Estonia-registered e-sports ecosystem provider TwoGNation which is also active in the Russian market, told Cryptonews.com that the general idea behind the measures is to enforce state control over cryptocurrencies while not scaring off institutional investors. "Last December, the Russian government held a meeting at which it announced it is working on regulating ICOs. The general idea was to put limitations, a maximum cap of up to 1 billion rubles (USD 16m) on ICOs, and also introduce limits for unqualified investors, which means individual investors, of 50,000 rubles (USD 782) per person," Bobrovich said. However, in the draft version submitted to the Duma, the finance ministry scrapped the limit of RUB 50,000, replacing it with a provision that the Central Bank of the Russian Federation will decide on the maximum value of individual investments in ICOs. Also, the Russian Ministry of Economic Development has proposed to increase the limit to RUB 500,000. "The authorities don’t want regular people to risk too much of their personal money, and consider ICOs to be risky ventures. They understand that blockchain is a technology with much potential, but they also want to keep it under state control. This is why there is a plan to create a special depository, perhaps run by the government, in which smart contracts are to be kept," Bobrovich said. 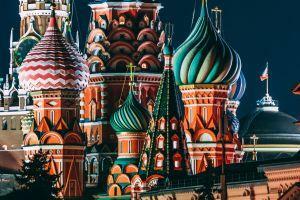 The country "needs to catch up"
Aleks Bozhinov, serial entrepreneur, co-founder of blockchain startup Crowdholding, told Cryptonews.com that Russia’s crypto community is blaming lawmakers for the slow progress, and is alerting them that the country "needs to catch up". "Criticism is aimed at people in power and the new legislation they are trying to put forward. There are many unresolved issues in the legislation around digital financial assets. 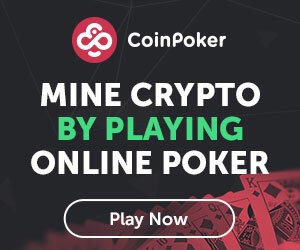 People in the Russian parliament spent a whole year discussing the rules and did not reach a unified position on the direction the digital assets should go," Bozhinov said. "The fact that regulations are not clear is making everyone’s life difficult." According to Bozhinov, organising "an ICO is as difficult in Russia as it is in many other countries, managing such a business is no easy task. Crypto businesses are responsible in front of thousands of supporters just like traditional businesses that do an IPO. This means advanced reporting and continuous interaction with the community which requires a lot effort." A draft regulation developed by the Russian Ministry of Telecom and Mass Communications complements the draft bill on digital financial assets by defining a set of rules for ICOs. The draft states that the ministry is to issue voluntary accreditations to entities that aim to launch ICOs. Each accreditation will be valid for five years. Also, such accreditations will be only accessible to Russia-based entities with a registered capital of at least RUB 100 million (USD 1.6 million). "The government also wants to regulate mining, allow only legal entities to mine cryptocurrencies and impose a tax on [these activities], but the authorities haven’t reached an understanding yet," Bobrovich says. Compared with the regulations in Belarus, which recently implemented a decree on the development of digital economy, legalising cryptocurrency payments, mining and initial coin offerings (ICOs), among others, the Russian regulation "seems less liberal" which "could push local companies to open offices in Belarus or elsewhere and escape Russian regulation in total," according to Bobrovich. However, the crypto projects need safety and transparency, as well as an unlimited freedom to use their money, whereas the geopolitical situation makes some investors careful about expanding to the Belarusian market, he stressed. According to Bozhinov, the Russian authorities and entrepreneurs were unable to formulate a consolidated position on crypto-currencies and they need to hurry. The president has urged authorities to have a law already in place by 1 July. "Let's see what this regulation entails and how it will influence the crypto ecosystem in Russia. If something goes wrong there, future projects have many other options on their hands such as Estonia, Lithuania and Belarus where the crypto ecosystem is much more favourable to ICO projects," Bozhinov said. Russian Spy: Blockchain Will Be Ours!